Can you imagine what an alien would think of Christmas traditions if it landed in the US in December? Fat men wearing beards and red jumpsuits sneaking into people’s houses at night, a possibly alcoholic drink made with raw eggs, weird shiny stuff hanging on trees that have been cut down and placed indoors. Specially designed songs? When you put it that way, it does sound strange. That sums up my Chinese New Year experience so far. I know it’s right around the corner. I know it’s a big deal. I understand that each year symbolizes an animal. I was born in the year of the rooster, this year will be the year of the snake. I just have no idea what it really is or what people are going to do to celebrate. A month ago I took a work training course and as a completion present I was given decorative envelopes. “What are these for?” I asked the girl next to me. “They are for the new year,” she said. “But what do I do with them?” I asked. “They are only for married people,” she explained. “Oh I’m married!” I exclaimed. I gave her the are-you-insane look. I didn’t benefit from this system when I was single. I don’t think I’ll start participating now. Plus, as a 30-something year old woman with no family in the country, it would be weird to start handing out money filled envelopes to my late 20 and early 30-something friends. I see the preparations going on around me. I notice that many businesses are closing down. Closures are not just for a day or two, but for an entire week. I am prepared for an event, but I don’t know how prepared I should be. Questions like “will I be able to get food or should I start hoarding?” start to come to mind. The hair salons are either charging extra or hosting new year packages. There are plants for sale everywhere. 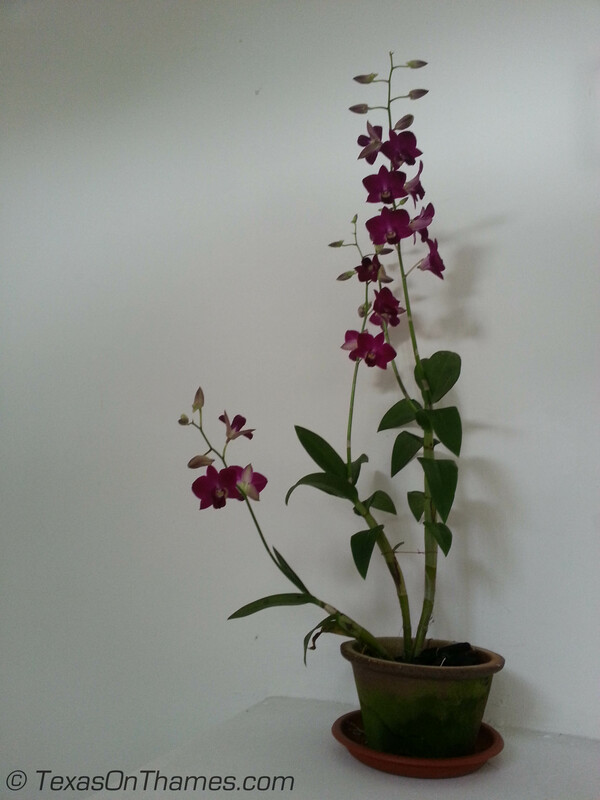 I joined in the fun and bought a lovely orchid. The grocery store is stocking canned abalone and orange gift baskets. You bring oranges to your host and they give you the same in return. It reminds me of the time in the 6th grade my birthday twin, Deena Wilkins, and I gave each other a happy birthday 5 dollar bill. “Happy birthday!” we said as we swapped $5 notes. And then there’s the campaign urging people to not eat shark fin soup this year. Apparently it’s a real problem only perpetuated by the desire to adhere to tradition. I have lots of surprises coming. Sure I could do some internet research, but there’s only so much reading about something you can do. At some point you have to experience to understand. Maybe I can convince someone to invite me around. I promise I’ll bring oranges, but please don’t expect a red envelope! 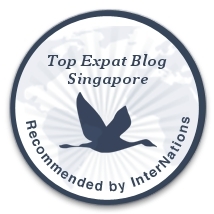 Editor’s note: If you are hanging around Singapore, Time Out Singapore has a list of recommended restaurants for Chinese New Year and the Honeycombers have some good tips on alternative things to do.